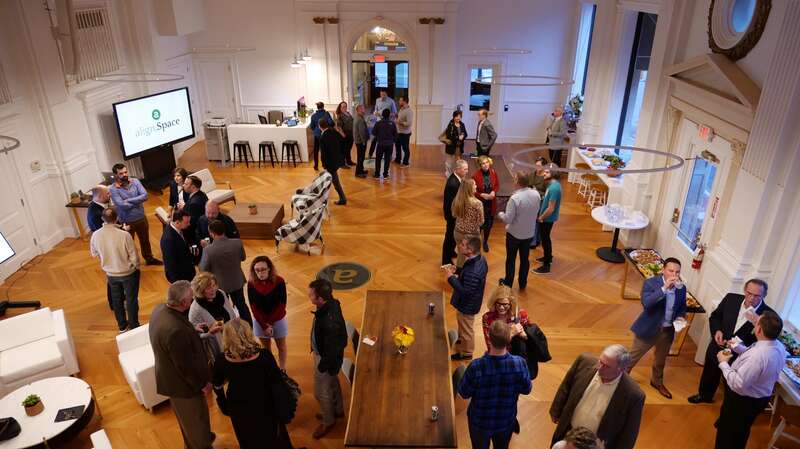 align.Space is the newest, most unique coworking space in downtown West Chester - a Philly suburb that has been referred to as “one of the world’s most perfect small towns” by the Philly Inquirer. We’re align.Space, welcome to the Community! Tell your story with our video & podcasting technology! More than just Space, let us help you grow your business! align.Space was created with the entrepreneur in mind. We asked ourselves, how can we help entrepreneurs and companies grow their businesses? More than just office space, align.Space is a destination for companies to form a community, be in an inspiring environment with all the amenities to ensure your ideas come to fruition. 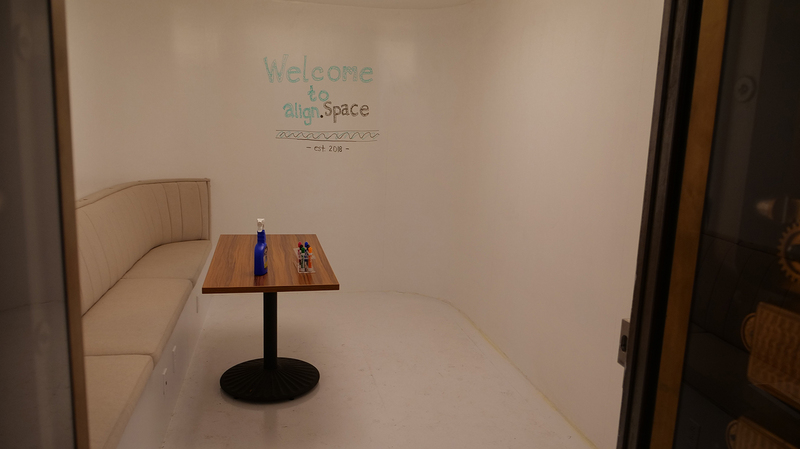 Whether you are a solopreneur, a small business owner or leader, or an employee working from home or outside of a traditional office, align.Space has a variety of memberships to meet your needs. 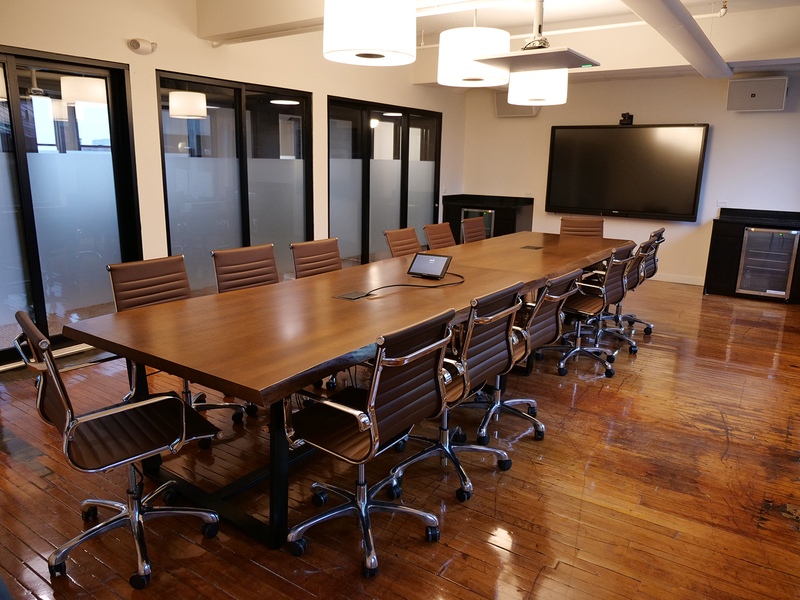 With several conference rooms, private offices, and collaborative open workspaces, we have an atmosphere that buzzes with excitement. A central hub for all things a young professional needs. The space is located in the historic Farmers and Mechanics Building! 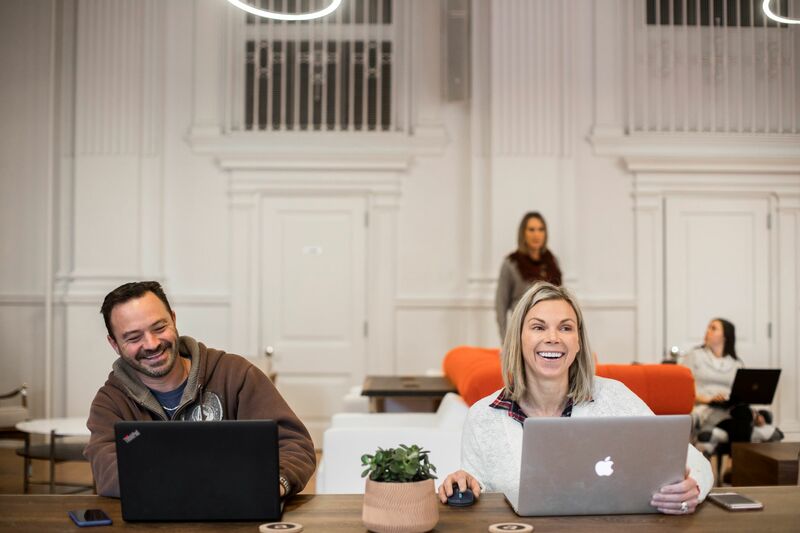 We’ve renovated the historic Farmers and Mechanics at the corner of High and Market Streets in West Chester building into a modern co-working, meeting and event space that inspires creativity and productivity. From a dedicated space to finding an open seat in our flex area, the Space is an inspiring, creative place for productivity, as well as interindustry interactions. You don’t want to miss out on the being a member of the align.Space community. Looking for somewhere to get together for an interview, meetup, board meeting, presentation or video conference? Time to upgrade your meeting space and quit bringing people to the local coffee shop for critical meetings. At 2200 square feet and a capacity of 125 people, from personal to professional events, our main event space, 1908, can accommodate various room configurations. Our Turks Head Board Room is sure to impress everyone at your half day or whole day event of 16-20 people. The most effective way to communicate with your customers and your employees is with compelling video, so we created a professional production studio to help you tell your story. Equipped with top-of-the-line video, audio and lighting equipment, all you need to bring is an idea. There’s even pro podcast gear in place! The Green Room, as we like to call it, is the most creative place at align.Space. Through its proprietary strategic coaching methodology, align5 works with entrepreneurs to move their company from one stage of the Entrepreneurial Company Lifecycle to the next. Learn more. As entrepreneurs and leaders in fast growing companies and multinational corporations, we have variety of leadership experiences to help leaders and executives thrive & succeed in their roles. Discover the power of a dream and an inspired team , how to build a great culture and attract and retain talent, & more. align5 works exclusively with entrepreneur-led, private companies in connection with strategic acquisitions (buy side) & strategic exits (sell side). Don’t miss out on the opportunity to be part of an exclusive group of entrepreneurs, high-growth companies, and thought leaders.